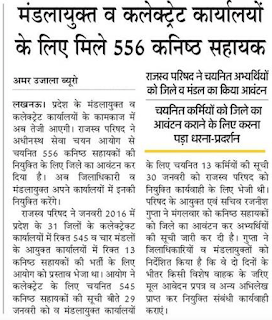 Total 556 junior assistant received joining letter of Upsssc for working in up mandal ayukt office/Karyalaya, collectorate Vibhag under rajaswa parishad working body. 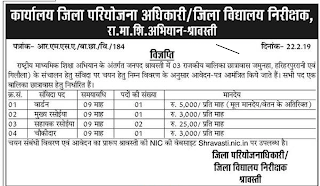 Up adhinasth sewa chayan ayog requested all junior assistant that are eligible to get joining letter should consult your friend or where you follow group of junior assistant for more detailed information.In below terms we made important points related 😉 up junior assistant latest news 28 February 2019. 3. Whom to meet for information : you must contact to district megistrate and zonal officers for deep info. 4.Parishad ayukt and sachiv has ordered to all DM, collectorate officer to give responbility to any person and collect data of selected junior assistant in up revenue department. UP Printing Press Recruitment 2019 Vacancy For Assistant Binder 570 Jobs in Government Press Allahabad Staionery UP Govt Printing Press Recruitment. train 18 jobs upcoming/ latest jobsjobs 12th pass fresher, 1.30 Lakh Vacancy 2019. Rrb ntpc is going to upload yet another 1 lakh 30 thousand recruitment for youth that have completed 12th board exam in any stream. How to get jobs in train 18: Youth, Senior Citizen are booking and taking selfie of train 18 when ever they saw train 18 arrival on time. Getting jobs in train 18 is not so easy for youngster because only highly trained person kept with skill eligibility on train 18. Types of posts in Train 18: railway coach assistant, train operator, cletk, junior assistant, maintaner, group d, ticket collector, section engineer, train 18 driver , cook, chef of South Indian, safai karmi, cleaning staff are some important opening in train 18. 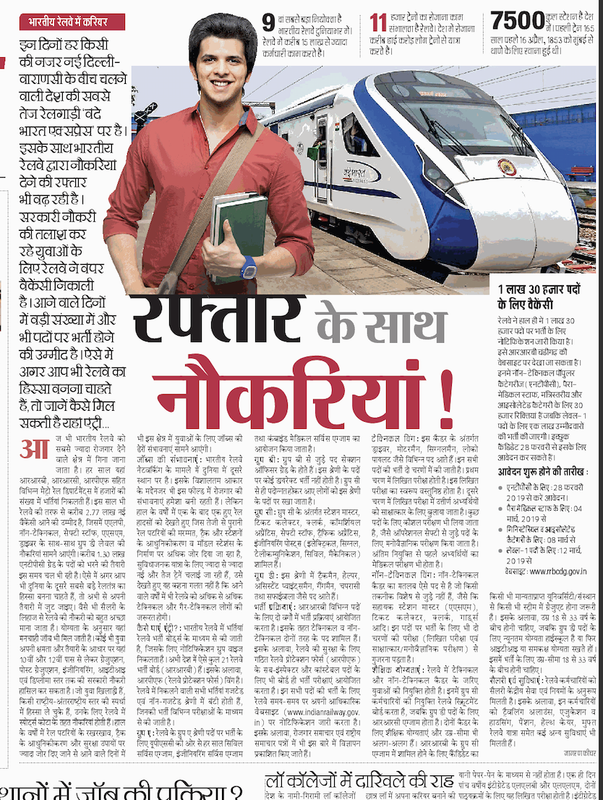 Selection process in train 18 train: according to railway minister piyush goyal, train 18 coaches, berth, coaches and seats tender given to Railway Raebareilly, Hyderabad, Varanasi for construction. As per up govt jobs update 27 February Fee are writing about samida vacancy for 12 pass candidates who wanted to work in three Rajkiya Balika Chatravas.Some come to the points and eligilbility criteria which is based on below statement. Rs 5000 Salary is different from main pay scale. Contract period and educational qualification is same as above assistant Cook but you may get 💰 money of RS 2500 which is quiet low. Chowkidar (peon in government school) you will be kept up to 9 month and salary is RS 3000 per month total posts is only 1.